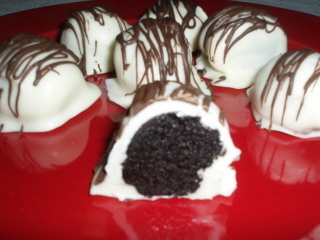 Some folks call them Oreo balls and others call them Oreo truffles but whatever you want to call them you can't deny they awesome! You know what would probably be REALLY good? 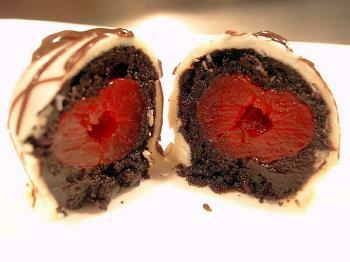 You could take a Maraschino Cherry and wrap the Oreo cookie mixture around it and then dip it in the chocolate. Oh dear! If anyone decides to try this let me know how it turns out! 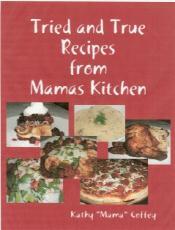 **Okay, so I decided to try these with the cherries! Oh, my goodness, they are GOOD! See the bottom of the page for the picture! 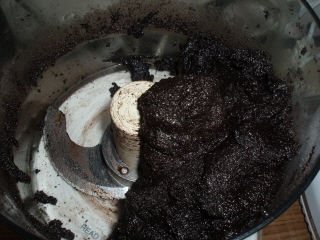 In a food processor or blender, process the Oreo cookies until they are fine crumbs. 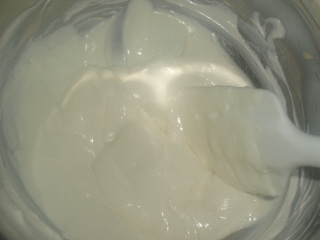 Add the cream cheese and vanilla and continue processing until you can no longer see any white. 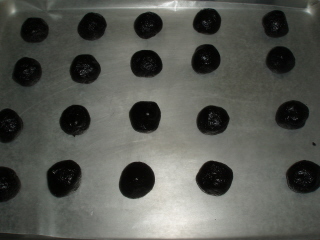 Form into 1" balls and place on a cookie sheet that has been lined with wax paper. Refrigerate for an hour. 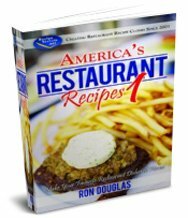 Melt the white chocolate in a double boiler or the microwave according to the package directions. 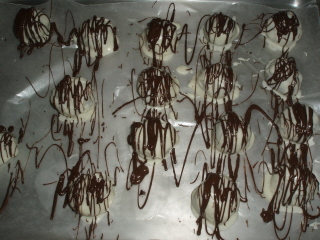 Remove the balls from the refrigerator one pan at a time and coat in the white chocolate and return to the wax paper. Return to the refrigerator. 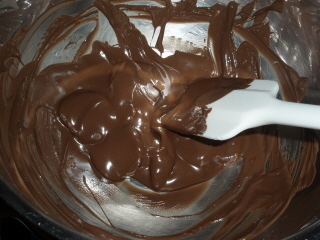 Depending upon how thick you like like your chocolate coating, you may want to dip them a second time after they have been refrigerated for at least 30 minutes (that's what I did). Leave them in the refrigerator while you melt the dark chocolate. 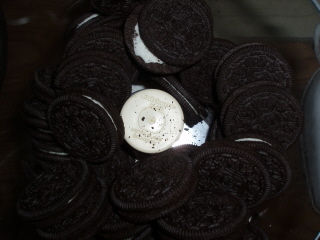 Drizzle the dark chocolate onto the Oreo truffles using a fork that you shake back and forth. 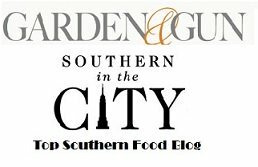 These need to be kept in the refrigerator until ready to eat. Makes about 3 dozen. 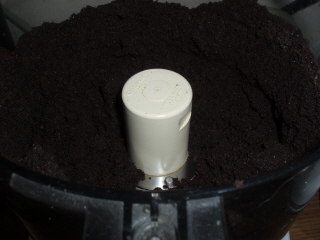 And, here is what the look like if you drain and dry maraschino cherries and form the crushed Oreo's around them.